Doris Wong Wai Yin makes art to explore the nature of art and her own nature and presence in the world. Her first exhibition in Australia, at Nexus Gallery in the 2017 OzAsia Festival, will offer just a glimpse of the very substantial body of work she has produced since she graduated from the Chinese University of Hong Kong in 2004 and completed her Master of Fine Art at the University of Leeds in 2005. 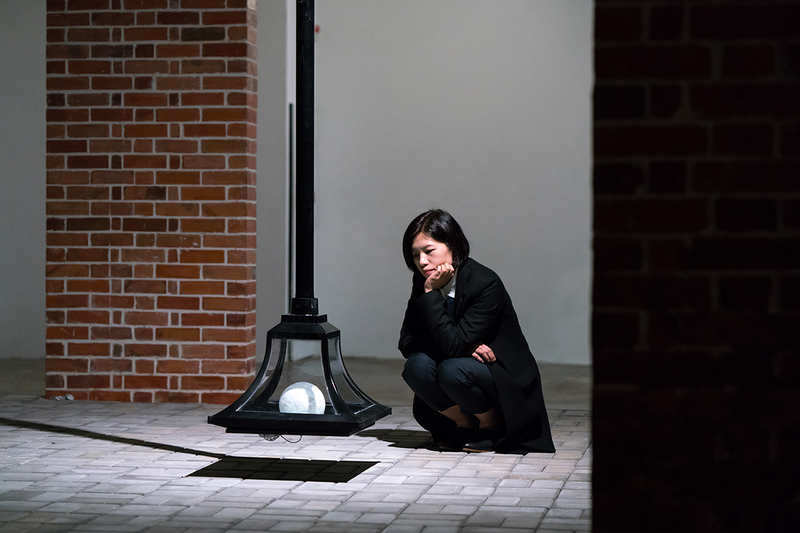 Wong uses painting, sculpture, collage, installations, photography and performance — whatever suits her purpose — and has exhibited in Taiwan, Japan, the USA, Singapore, the Netherlands and Guangzhou as well as Hong Kong. Strongly conceptual, her work up to 2012 was characterised by an exploration of what constitutes art, while the work I decide to make 100 Paintings to learn and unlearn PAINTING 1-111 (2014) specifically addressed the one artform. 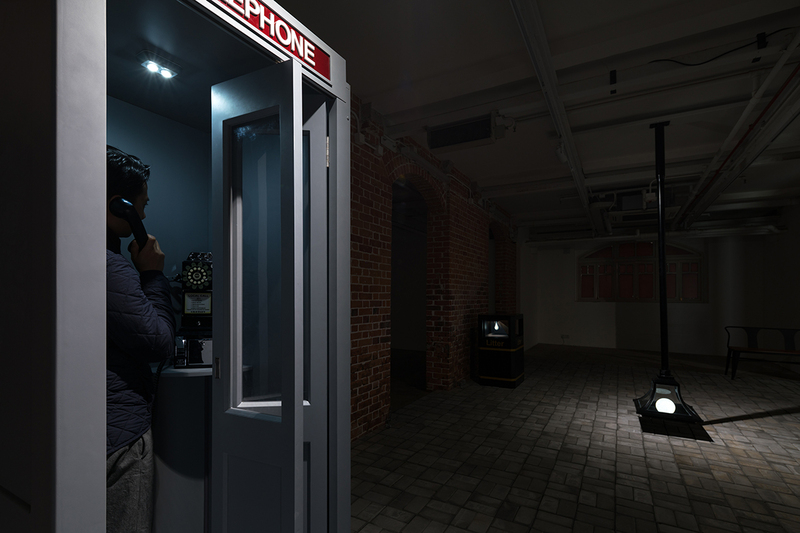 Many of her works have been made in collaboration with her partner Kwan Sheung Chi, for example, videos in which both perform, such as Everything Goes Wrong for the Poor Couple (2010), with its stuttering black and white 16mm film-style footage, part of a 34-hour, five-day performance and installation. There is often humour and wit in her work, but as is clear from her essay on her six-month residency at the Asia Art Archive in 2011, she is concerned with the wider role of art in society. During that residency, she created a new archive of Hong Kong art, drawing on alternative sources of information such as failed applications for residencies which she includes to identify the potential value of unrealised artistic work. She thus questions the accepted history of Hong Kong art and challenges more generally the traditional sources of art history. And so the issue of Hong Kong’s identity emerges from the investigation of its art history. Another strategy is for Wong to invite audience participation. For example, in To defend the core values is the core of the core values (2012), made with her partner, participants could win a solid gold coin embossed with the phrase “Hong Kong’s Core Values” by expressing what those might be. The work comments on Hong Kong’s commercial profile internationally and its people’s pre-occupation with material wealth, at the same time asking fundamental questions of a post-colonial society that is in political and social transition. Wong’s art changed as a result and there is now a much more personal, even spiritual, aspect to it. For her Wish You Were Eternal (2016), she cut up paintings she made from 2005 to 2016 and placed the fragments in a series of timber pyramids, thus enclosing her own art history in objects that suggest crates but, in evoking Egyptian burial chambers and the transportation of the deceased to the afterlife, invite historical investigation. She had planned this work for two years and engaged a psychic medium to detect messages that might lie within it. The medium identified the Hindu goddess Kali who symbolises destruction and rebirth. It seems that for Doris Wong the transition to motherhood was profound and this work symbolised that transition; it publicly enacted the rebirth of her art and preserved and historicised her previous artistic self. Chris Reid visited Doris Wong in Hong Kong courtesy of the Hong Kong Arts Development Council and the Adelaide Festival Centre.